We just updated iSwap Faces®, Pimple Eraser™, and Brace Face™ to be compatible with iOS 10 and beyond to ensure these apps won't be removed from the app store with the release of iOS 10.4. Our other apps will be updated soon. Thank you to all of our loyal customers who continue to use our products and provide us with great feedback. Please rate our apps on the app store today! We are grateful for all of our customers who continue to support us and allow us to continue doing what we love. Thank you for all of your amazing feedback that helps make our products better with every update! Enjoy 50% off Pimple Eraser™ during this holiday season! 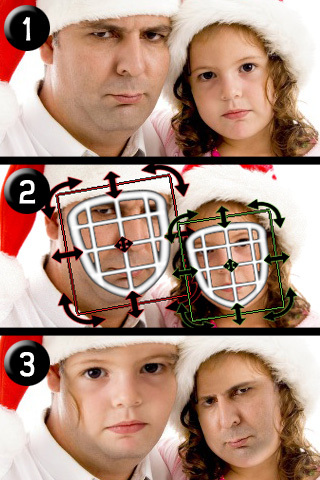 Enjoy 50% off iSwap Faces® during this holiday season! In less than 4 years, Black Frog Industries has reached over 8,000,000 downloads worldwide on iOS! This is another incredible milestone for our company, and we would like to take this opportunity to say thank you to all of our loyal customers who have shown such tremendous support! We recently began porting some of our existing apps to Windows 8 with the recent release of iSwap Faces®. iSwap Faces® Now Available on Windows 8! iSwap Faces® is the first Black Frog app available on Windows 8! Download the FREE trial now! 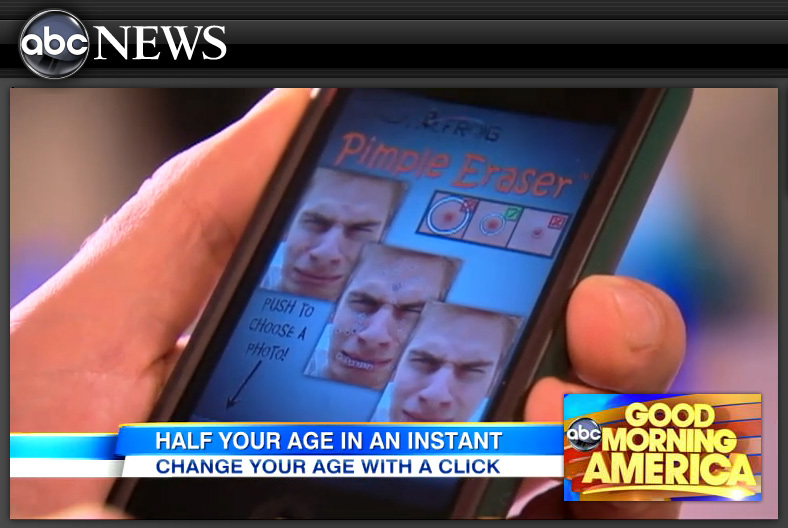 Pimple Eraser on Good Morning America! Pimple Eraser in the Los Angeles Times! Pimple Eraser in this Sunday's LA Times: "Put your best face forward using digital technology"
"...Consumers seem eager to take advantage of the possibilities. 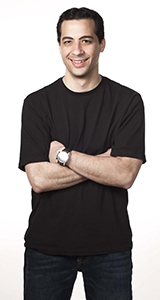 Alex Vlachos, owner of Black Frog Industries, the company behind Pimple Eraser, says a free version of the app that's not quite as advanced as the 99-cent option has been downloaded about 2 million times, largely by consumers in Asia, over a period of about 16 months. 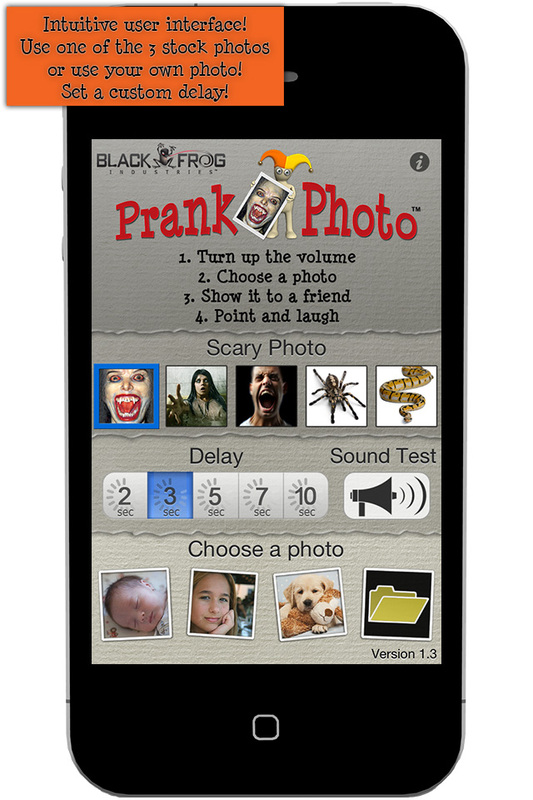 He estimated that over the last two years, the paid version of the app had been downloaded between 100,000 and 200,000 times..."
Scare your friends with Prank Photo! Show them a photo of anything you want, and a few seconds later they will FREAK OUT when the photo changes to a scary face and SCREAMS at them! And the best part...it will take a photo of them freaking out at exactly the right moment! 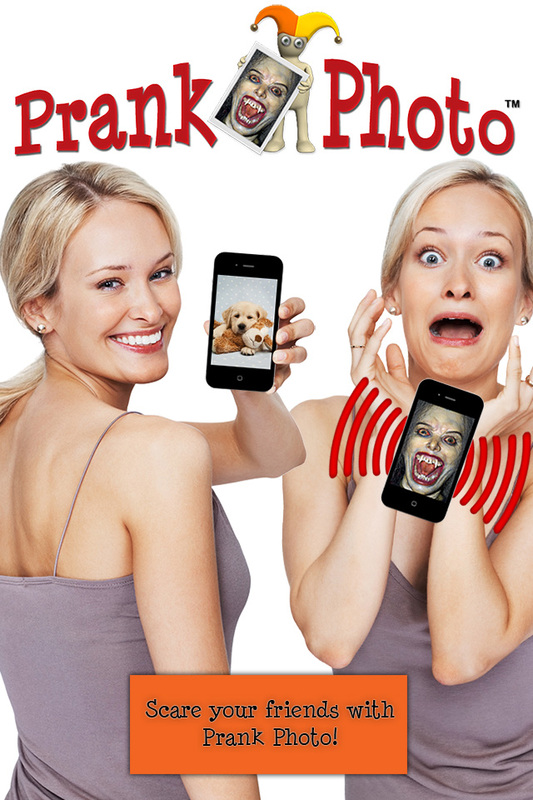 You will laugh for hours, and you will have a great photo to share on Facebook, Twitter, and email! In less than 3 years, Black Frog Industries has reached over 5,000,000 downloads worldwide! This is an incredible milestone for our company, and we would like to take this opportunity to say thank you to all of our loyal customers who have shown such tremendous support! Stay tuned for new apps and updates to our existing apps in the coming months! iSwap Faces® was features on the CBS Minnesota morning show one week ago today! We saw a significant sales spike in US sales since then, so a big thank you to the team at CBS Minnesota! 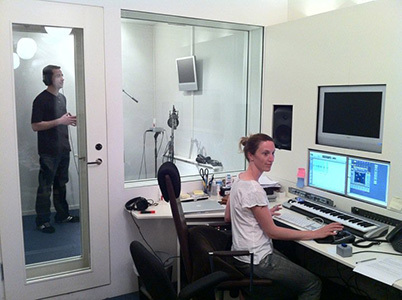 This is a picture of the owner of Black Frog Industries recording a radio commercial for Sweden's Next App Millionaire that is planned to air on Spotify! This was recorded in a studio in Stockholm, Sweden! 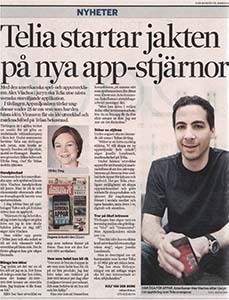 This is an online article about Sweden's Next App Millionaire on the Telia iPhone Blog. This is an article about the owner of Black Frog Industries published in the most popular daily financial newspaper in Sweden, Dagens Industri. 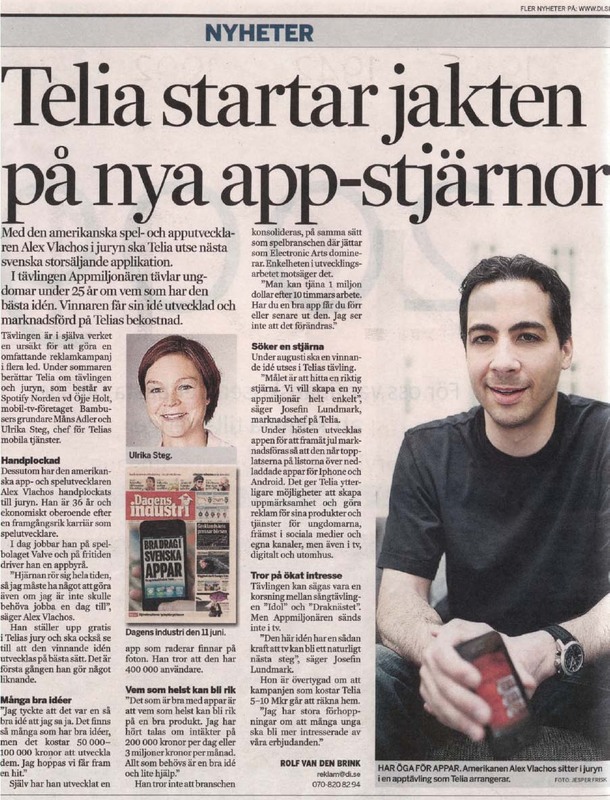 We are happy to announce that the owner of Black Frog Industries has been named the head judge in Sweden's Next App Millionaire! More details coming soon! Pimple Eraser sees over 500,000 downloads in the first two weeks! This is a very exciting time at Black Frog! Pimple Eraser is taking off fast, and I'm shocked to announce that it has seen over 500,000 downloads in the first two weeks on the App Store! This is by far our most viral app released to date! Thanks to all of our customers and to everyone who took the time to give the app a positive review on the App Store, and thanks to those of you who sent us an email telling us your stories about how this app has helped you clean up that photo you wanted to upload to Facebook or Twitter! Dollar Ring Origami is FREE for a limited time! Dollar Ring Origami is FREE for the next week or two! Download it now while it's still free! Pimple Eraser has just been featured as New & Noteworthy in the US App Store by Apple! I'm really excited about this app. I spend a lot of time in Photoshop editing marks on people's faces. So it got me wondering, why isn't there a simple app to do this on the App Store? And by simple I mean really simple! 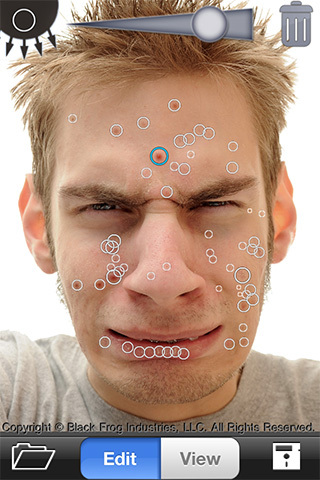 Pimple Eraser is the result, and it's available on the App Store now! It works as advertised, guaranteed! I use it all the time to remove unwanted marks in my photos. You just put a circle over the blemish you want removed and press a button...that's it! 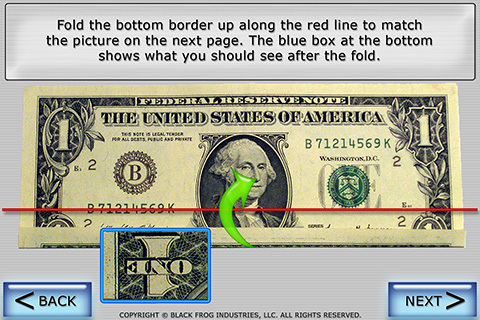 This isn't a "rubber stamp" app where you have to choose where to pull pixels from to cover the blemish. 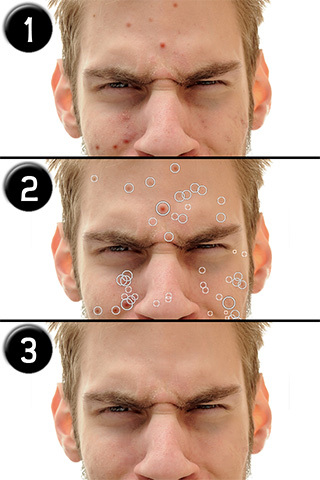 Pimple Eraser does all of the hard work for you, no Photoshop skills required! As part of Apple's celebration of 10 billion app downloads, Apple has published the all-time top app list. We are proud to announce that iSwap Faces® is listed in the All-Time Top Paid iPhone & iPad Apps in 56 countries! Are you tired of having perfect teeth? 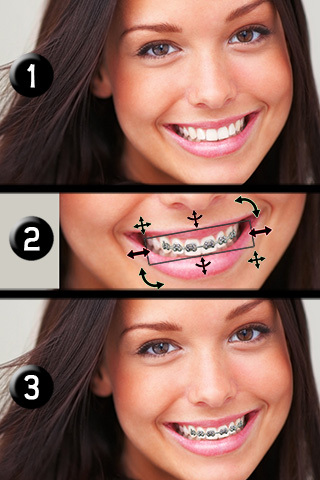 Or are you about to get braces and want to know what you're going to look like? Check out Brace Face® on the App Store! 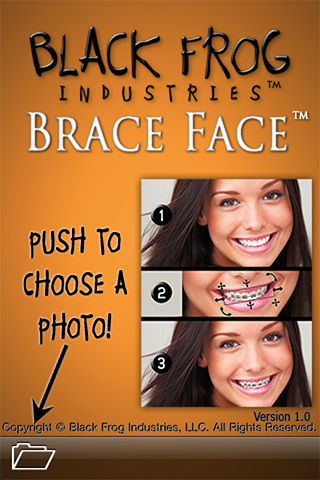 It's a fun application that lets you put braces on someone's smile! iSwap Faces® is now listed as an Apple Staff Favorite in the United Kingdom and Ireland! Thank you for the recognition! Nothing makes a developer happier than receiving an official thumbs up from Apple! 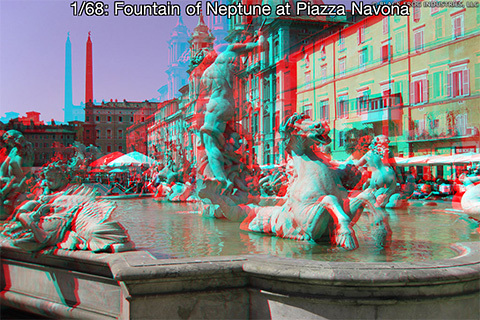 • 2,500 swapped images per month uploaded to Facebook. 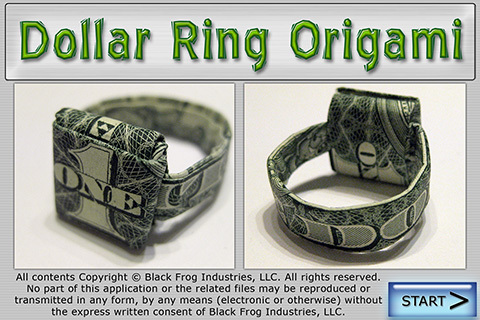 Several years ago, I designed a new way to fold a dollar bill into a finger ring that you can wear! This app will teach you how to make this amazing ring with clear, visual instructions. And the best part is that NO tape, NO glue, and NO tools are required! All you need is a crisp dollar bill! We are really excited about this release! AutoTones is sure to have a long lifetime on the App Store. 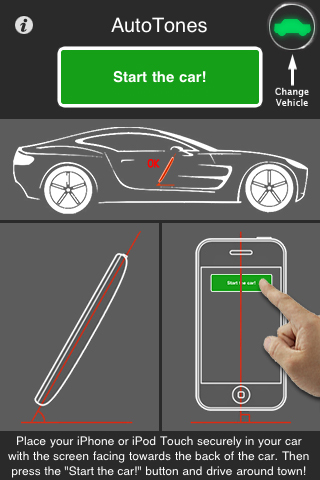 AutoTones uses the accelerometer in your iPhone or iPod Touch to detect the movement of your car, and it will play sounds to make your car sound like a race car, an old beaten up car, or a toilet! And with the increasing number or hybrid cars being sold, you just might start to miss the sound of a roaring engine! AutoTones can help! 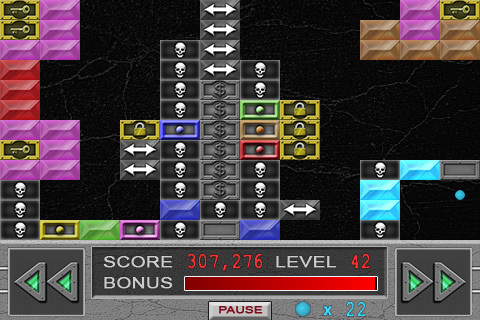 Check it out on the App Store! iSwap Faces® Reaches 1,000,000 Downloads! In just over 9 months, iSwap Faces® has reached 1,000,000 downloads worldwide! Thank you to all of our customers for spreading the word and helping to make this product such a success! We've enjoyed reading and replying to all of the fan mail we received and really appreciate the positive reactions we've seen! 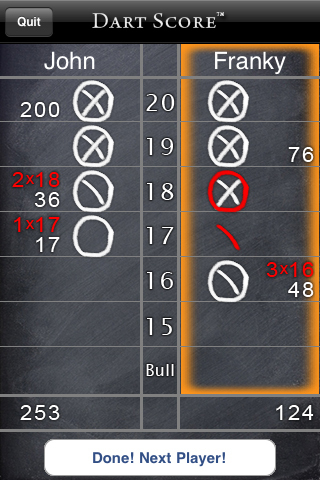 Dart Score is our latest app and keeps score of 1-4 player cricket games! It's got a bunch of really useful features that you can't get by using a pen and paper or chalk. Check it out today! 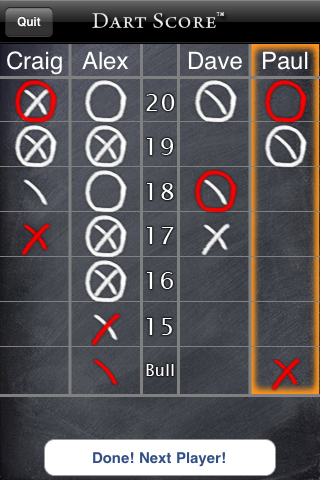 Our classically-inspired brick breaking game, Momentum, was just released! It's a different kind of game where instead of controlling a bumper, you control the ball! 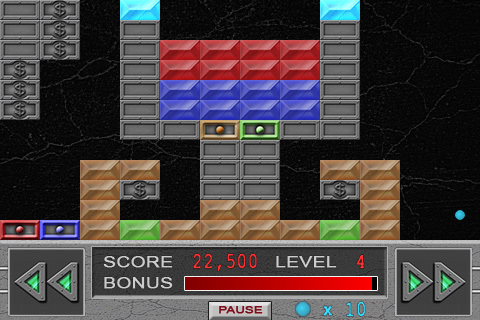 The ball continues to bounce up and down, and you push the ball left and right. The ball's momentum keeps it moving. All you have to do is direct it towards your target. 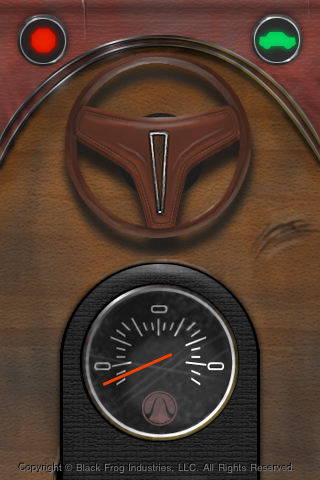 Check it out on the App Store! 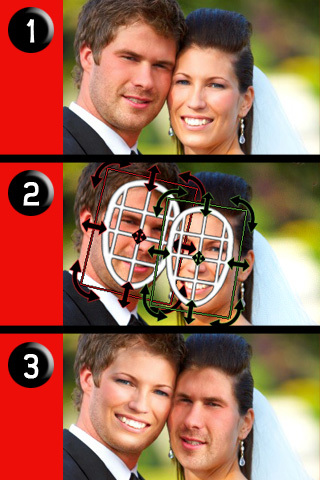 We just released our first iPhone app, iSwap Faces®! 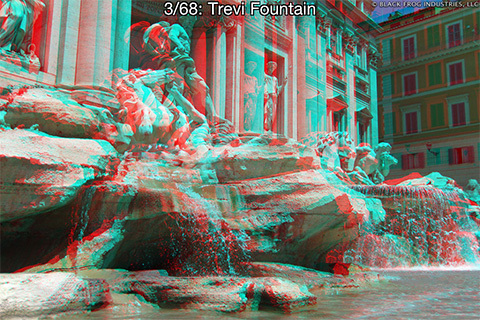 Check it out on the App Store!